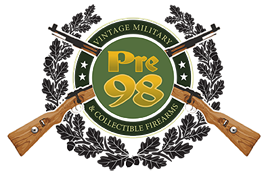 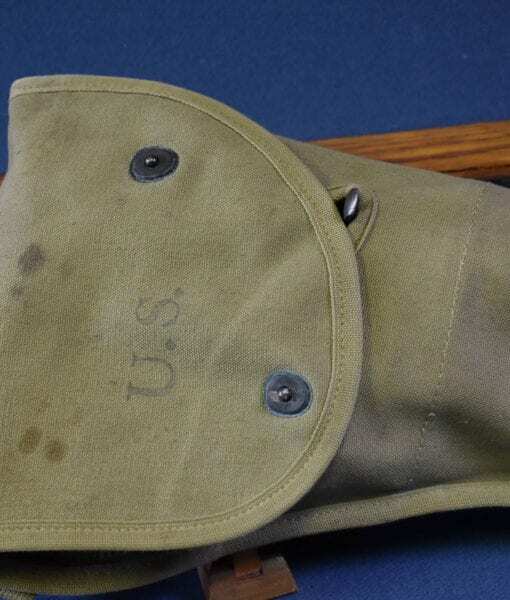 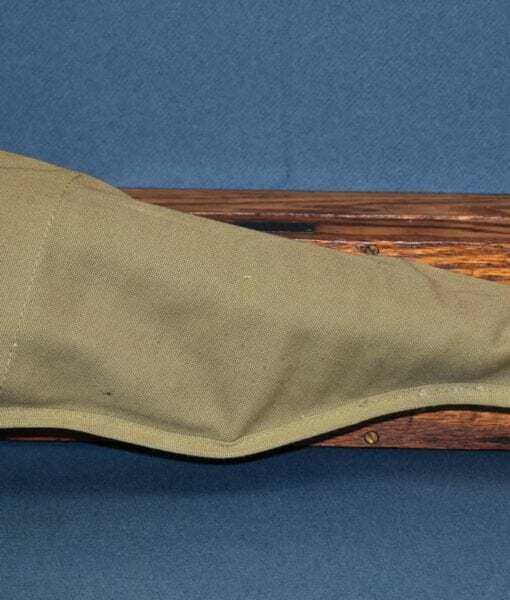 SOLD IMPORTANT VERY EARLY 4th MONTH JAN, 1943 PRODUCTION US WW2 INLAND M1A1 PARATROOPER CARBINE…WITH JUMP BAG……MINT!!! 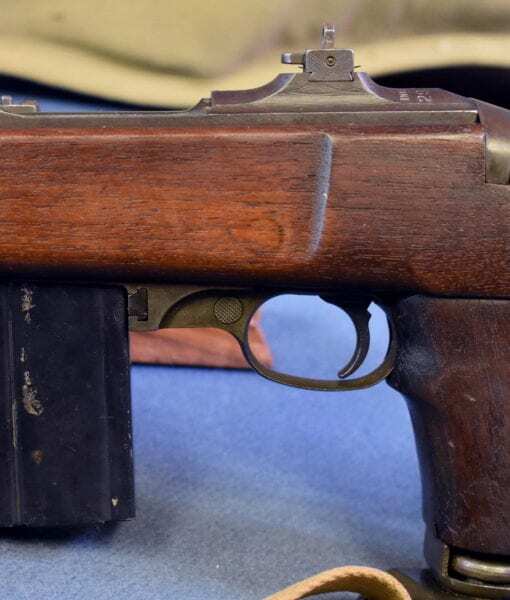 This is the carbine everybody wants & fresh out of the woodwork!! 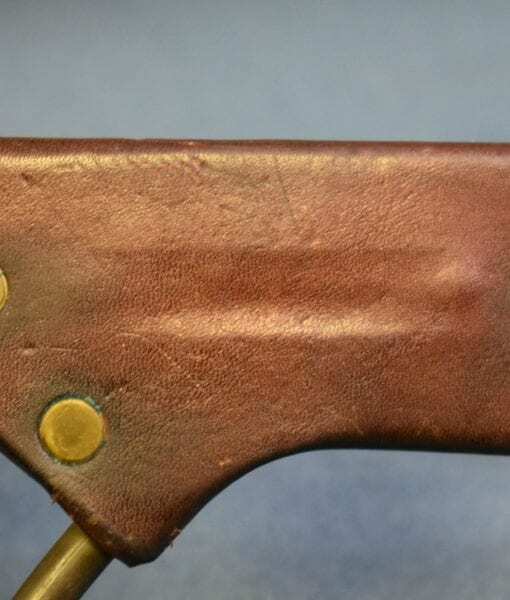 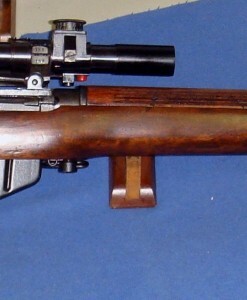 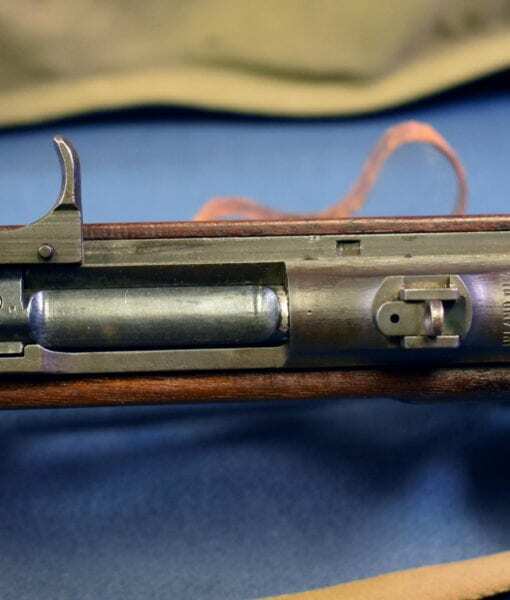 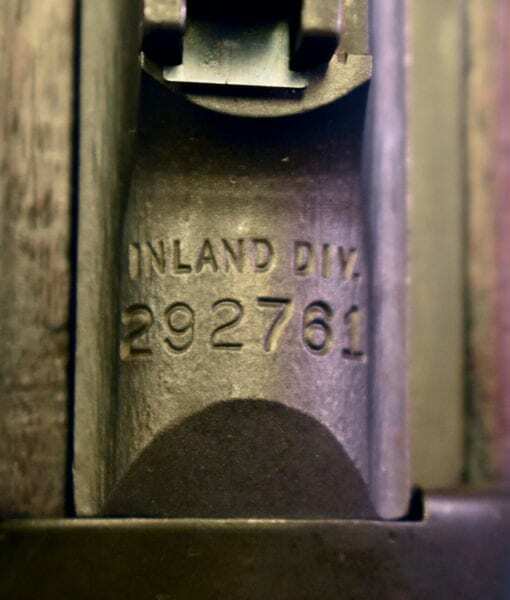 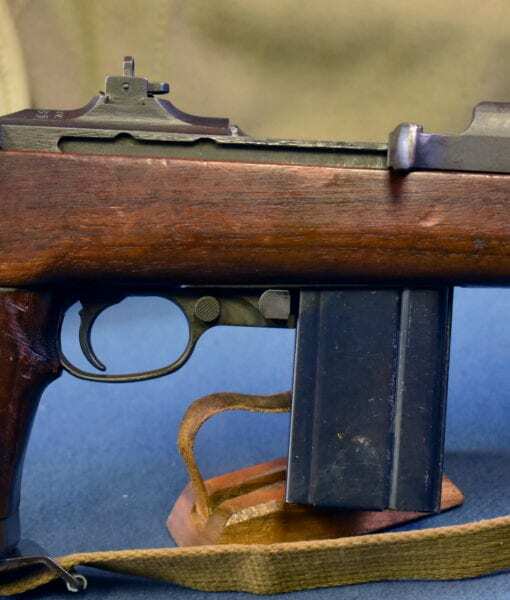 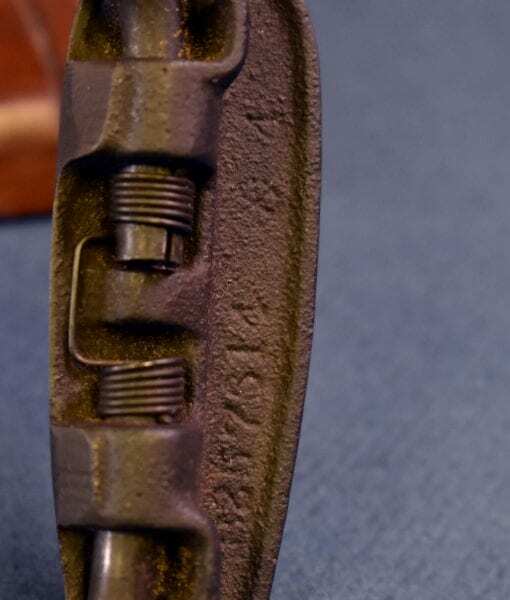 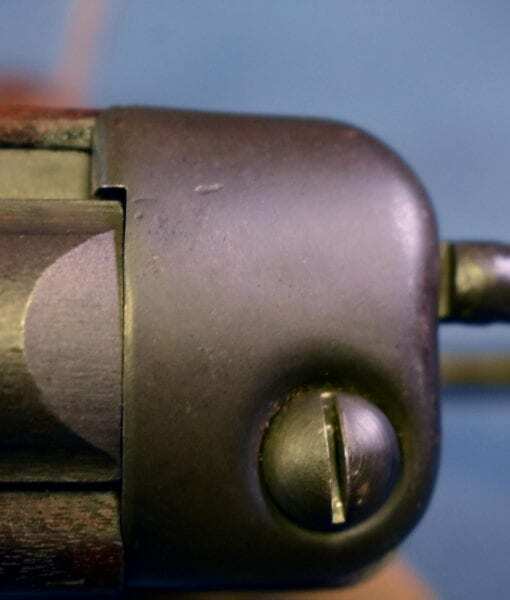 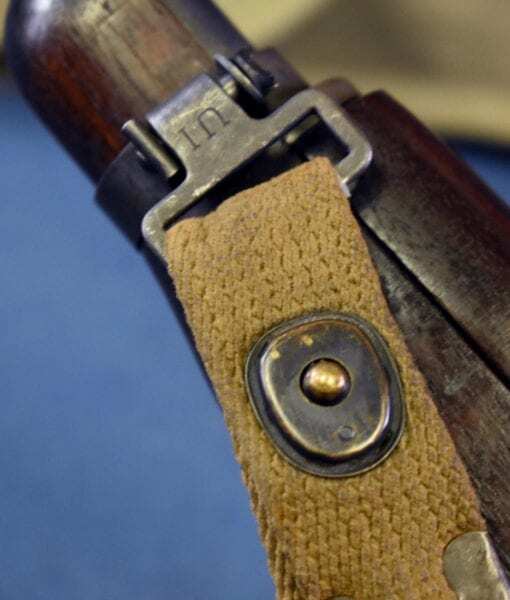 !…..an un-messed with very early January,1943 production Type 1 Inland M1A1 Paratrooper Carbine. 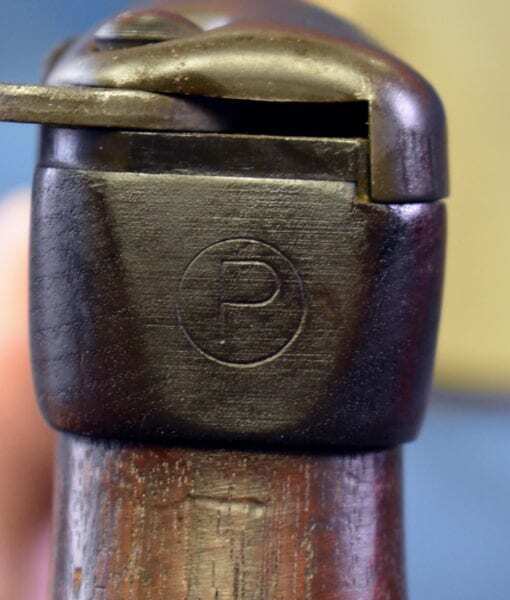 This is one of the earliest production examples that we seen had in 30 years! 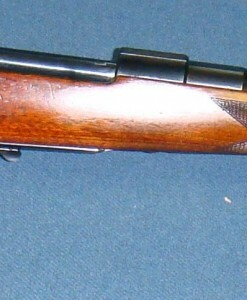 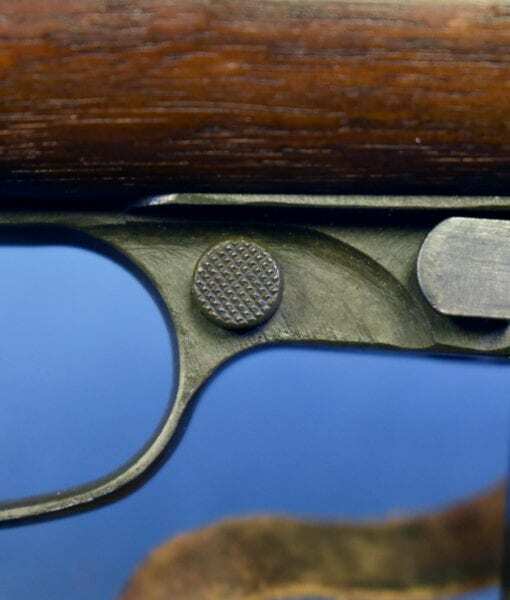 This is a very 4th month production gun, with some early features such as the checkered safety. 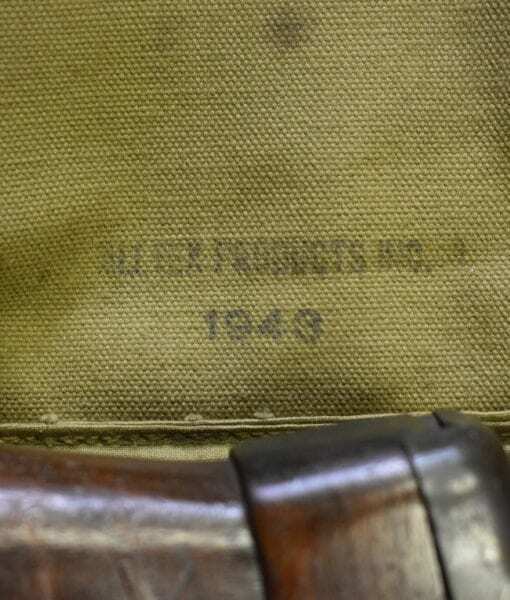 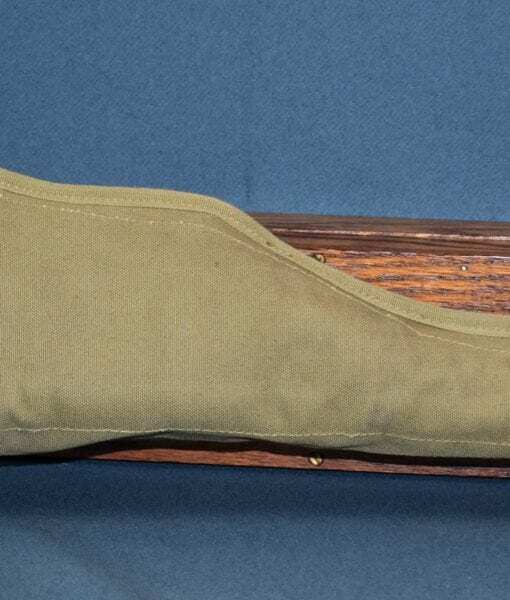 It is all the more remarkable in the fact that is was vet brought back exactly as you see it; with the original early khaki sling and the 1943 Alltex made khaki jump case that is was sitting in since it was brought back from WW2. 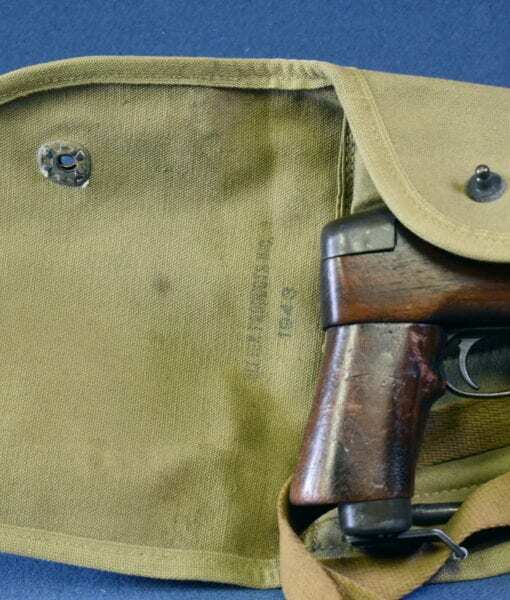 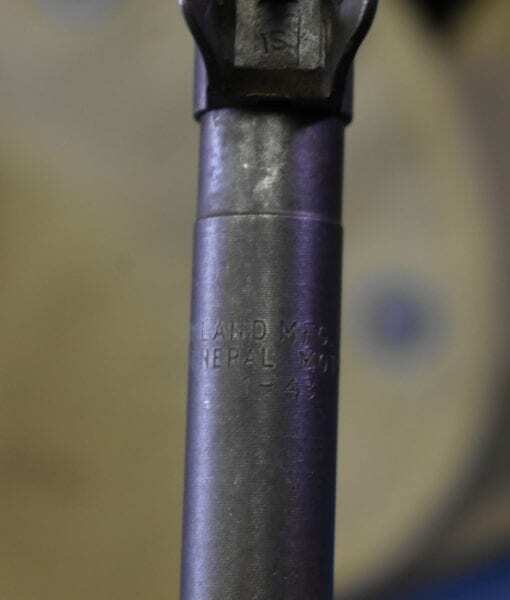 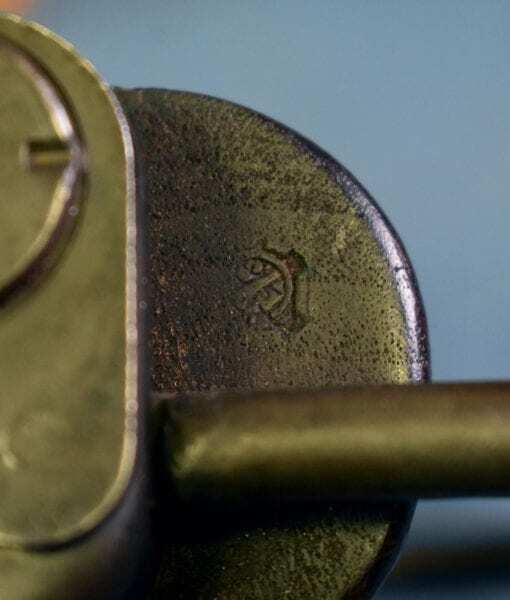 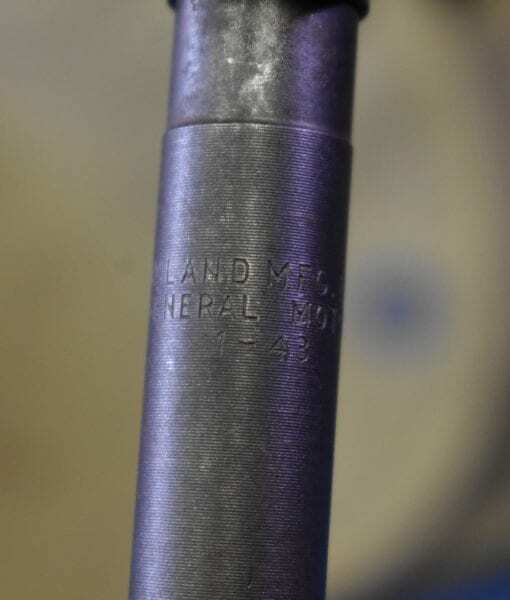 It is 100% factory original and was probably in the second shipment of these rifles to the Army. 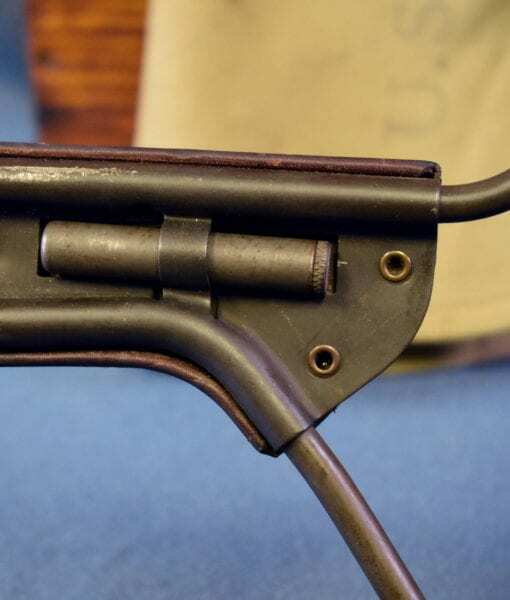 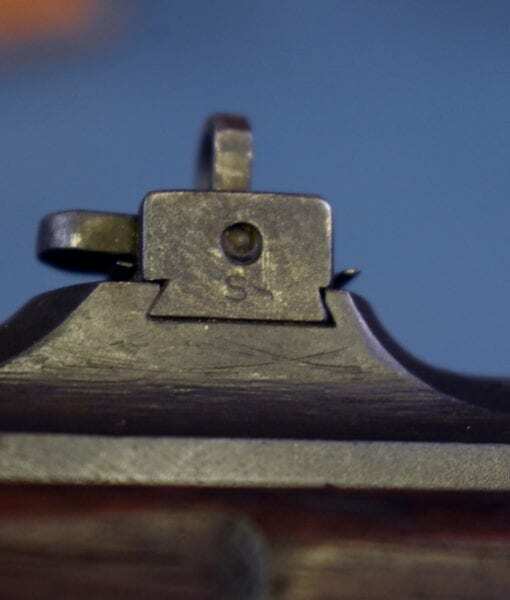 As you might imagine to find an early carbine such as this and in this top condition is an exceptional find. 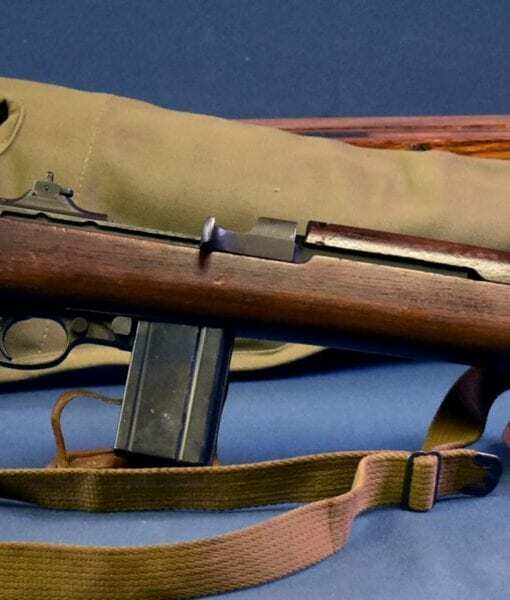 This is the iconic weapon of the Normandy Campaign, one of the main weapons carried by the “Band of Brothers”. 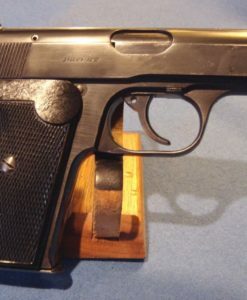 You may never have a chance to own one that was made this early. 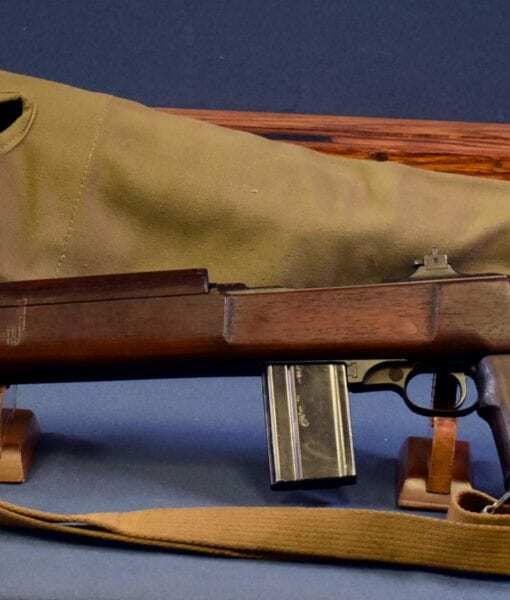 If you collect carbines you will rarely see such an impressive set up!